The Sheep Whisperer: Sheep Talk! Sheep aren't always the most discerning tools in the shed! Naive & unsuspecting , they often choose to hang out with the wrong friends.The flip side of this mistake, is that ewe will only make it once! Ewe-r new friend will make sure of that! 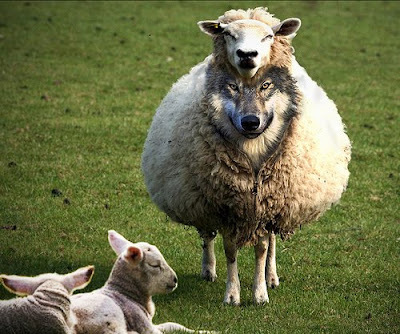 Sheep always fall for the proverbial "Wolf in Sheep's clothing." Sheep are interesting critters that can get themselves into a host of situations. Some sheep actually carry an extra load in life that they were never intended to carry! This will tend to handicap them unnecessarily. What are Ewe looking at? I'm just trying to pull my own weight! 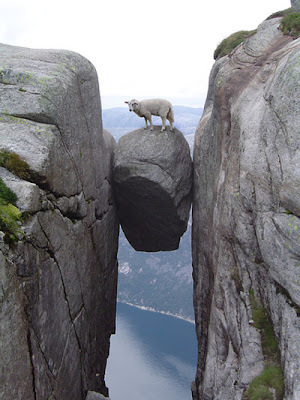 Some sheep find themselves in tough situations which require additional assitance.Times like these truly try one's soul! 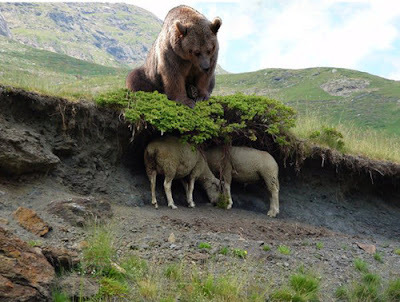 Ewe can hardly bear it! This shade is refreshing! Do ewe think we should head back soon? Sheep are aware of a neighbor's grazing lands & at times seek to graze there.They long for the grass that is just beyond their reach. 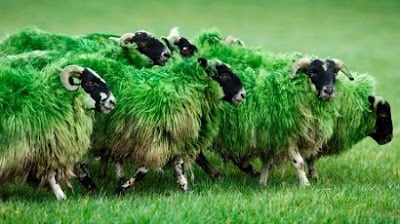 Ewe might say they become "Green with Envy"! Ewe better hurry & find a way out before the Shepherd finds out! Sheep do better when they follow their leader. 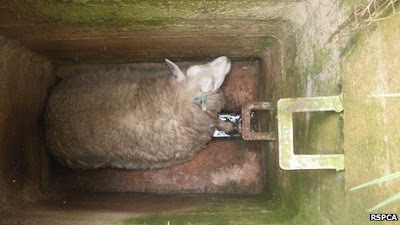 Shepherds are capable of providing everything a sheep needs.Occasionally,they have a mental lapse & like to stray.The problem is that their curiosity of the unknown,( Manholes) can land them in a tight spot! If only I had taken a course in "Sign" language! !How about showing a little compassion? Today, as Ewe face the various" predicaments" that life presents, look to the Good Shepherd for His wisdom & solutions. 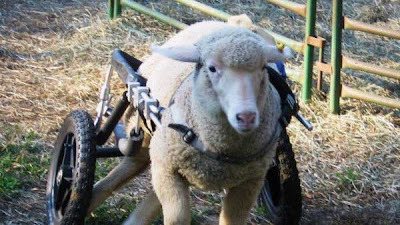 He desires to help His sheep!